The sixteenth Emir of Lafia, the late Isa Mustapha Agwai I, was buried on Friday in the Emir’s Palace in Lafia, Nasarawa State, amid tears. He died on Thursday at the age of 84 in Abuja after a protracted illness. The Chief Imam of Lafia, Malam Dalhatu Mohammed Dahiru, conducted the funeral prayer at 3:15 p.m. with families, friends and well-wishers in attendance. Dignitaries present included Governor Tanko Al-Makura of Nasarawa State, Sultan of Sokoto, Sa’ad Abubakar III, Senator Abdullahi Adamu, Minister of Water Resources, Suleiman Adamu as well as traditional and religious leaders within and outside the State. After the funeral prayer, the body of the deceased was taken to the ancestral home of late Mamman Ari Agwai in Kofar Kaura for burial. He is survived by two children — Alhaji Musa Isa Mustapha Agwai and Hajiya Hauwa Isa Mustapha Agwai. The late Emir was born in 1935 at kofar kaura in Lafia town to the family of Muhammad Al-Mustapha Marafa and Hajiya Halimatu. 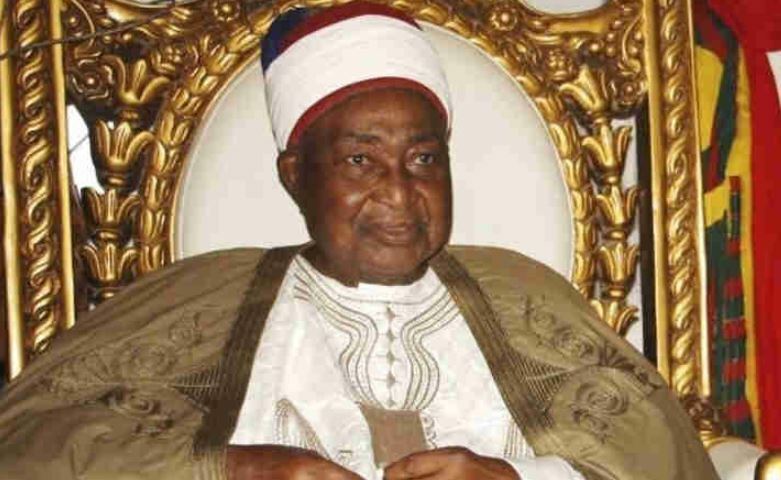 He was the longest-serving traditional ruler in the emirate council, spending 45 years on the throne as well as a former Chairman of the Nasarawa State Council of Chiefs. During his early age, the late emir was enrolled into a Quranic school in Kofar Kaura, Lafia, after acquiring some elementary aspects of Islamic knowledge, late Mustapha was admitted into Lafia Elementary School in 1943. After obtaining his first school leaving certificate from Lafia Elementary School in 1951, the teenage Isa Mustapha Agwai was admitted into Benue Provincial Middle School in Katsina-Ala, the present Benue State. Having successfully completed his secondary school education in Katsina-Ala in 1958, the late Mustapha later registered at the Institute of Administration, Ahmadu Bello University, Zaria, in 1958 and obtained his Diploma certificate in Accountancy 1959. He joined the service of Lafia Native Authority where he served as assistant treasurer, revenue officer and later paymaster in charge of the entire market of Lafia Native Authority. After holding several positions within the emirate council, the late Mustapha was appointed Dan Galadiman Lafia and District Head of Obi, which automatically elevated him to earn a full-time membership in the Lafia Native Authority Council.